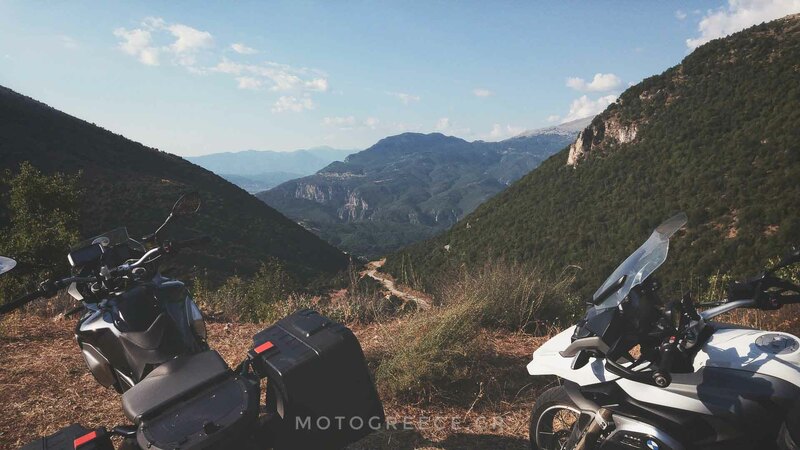 By John Kapelakis, partner & manager of MotoGreece. 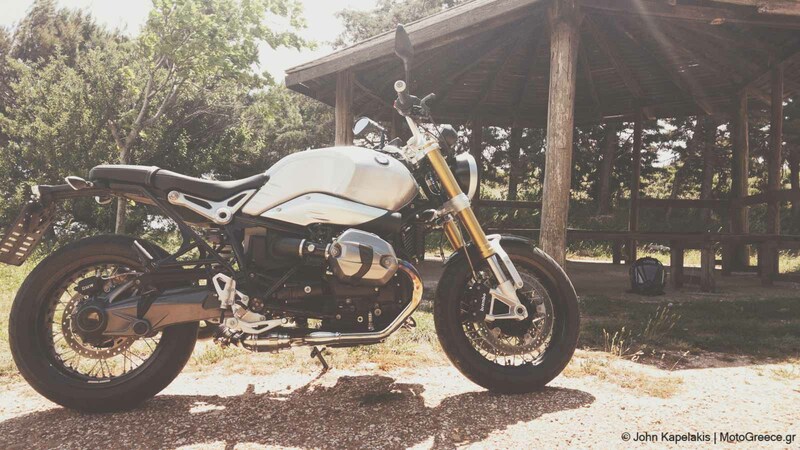 I had the chance to ride the heritage model, so here is my BMW RnineT review after a first ride. From the start, I liked a lot the fact that there are no excessive electronics to distract the rider from the road. It has already been said by others and I can only agree: the idea of having a “heritage” bike, one that reminds us of how motorcycles were back 2 decades ago, but with modern chassis, suspension and brakes is pure joy to ride. I’m in! Everything on it felt good for the duration of my test which was a 45 minute ride in the outskirts of Athens, doing the Penteli mountain road up and down, twice! I didn’t spend time looking at details of the design and finish, other than the wonderful brushed aluminum fuel tank. All I wanted to focus on, was the feeling of this bike when it is ridden. Admittedly, a single 45 minute ride on a local suburban twisty road is never enough to allow for legit conclusions. But nevertheless, I have to say one thing. Despite the fact that I have been riding many sorts of motorcycles, from supermotos to dual sports, from big adventure bikes to pure sport trackbikes on racetracks, this one, the RnineT managed to give me an endless grin in my face, from the moment it started rolling its wheels, until I stopped and returned it to the dealer. I rode it the way – I believe – it is intended to be ridden, acknowledging the fact that it is not a modern sportbike, or a high-end streetfighter. I treated it as a pure joy-making machine for the weekend, but in a stress free way, in a way that does not require a man’s full aggressive focus. You see, if it is adrenaline that I want, or to hone in my riding skills, I ride my dedicated sportbike, a CBR RR, on track. I will get my knees down and chase time. I’m saying this in order to put this ride in a proper context. For me, the RnineT even though shows some sporty looks, in a classic way, is not made for similar riding. I didn’t care to find out where the limits of traction of the RnineT were. Or to push suspension, chassis, and brakes to the edge of their performance envelope. No. Instead all I wanted man was to simply ride, just enjoy the ride. The geometry felt just about right. The engine was lively and had the right amount of power and torque. The sound was perfect, the vibrations were present and so was that characteristic move of the bike to the right whenever you twist the throttle, a treat of the boxer engine. Good fueling, I never noticed a hiccup, and the transmission also felt at the right gearing ratios. Acceleration was good, especially at mid-range rpm. Sliding the rear wheel was easy and fun! Getting into corners, and everything was smooth, but I rode it smooth. As said earlier, no intention of being aggressive. Would I put my personal money on one? Yes, definitely yes. The only reason that might hold me back, is that I want to ride also the other versions of the Heritage line, the rest of the RnineT variants, and see which suits my style better! « Early bird discounts for 2017 are now on!